Understanding live cells at the single molecule level is the most important and single major challenge facing biology and medicine today. Nanobiology focuses on the properties and structure of complex assemblies of biomolecules—biochips and molecular motors, for example—in conjunction with distinctive surfaces, rods, dots, and materials of nanoscience. 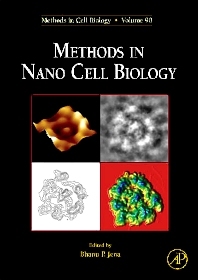 Nano Cell Biology will describe the current applications of nanobiology to the study of the structure, function, and metabolic processes of cells.